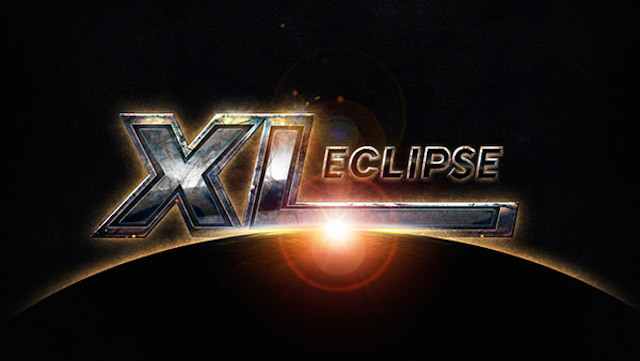 888poker’s XL Eclipse weekend schedule got underway with a trio of their signature Crazy 8’s tournaments on Saturday. Day 3 offered players another $57,000 in guaranteed prize pools and plenty of four-figure paydays to be won. Canada’s ‘LeetRunGoot’ did what his name implies and ran good all the way to the winner’s circle in Event #6: $30,000 Crazy 8. As one of the more popular tournaments on the schedule, 305 players put up their $88 buy-in to help push the prize pool to $35,280. This being the biggest tournament of the day, meant that ‘LeetRunGoot’ was the biggest XL Eclipse winner with the victory. They cashed for $6,879.68 while runner up ‘Unclemonty12’, from the UK, also finished with over $5,000 in prize money. There was a head-up deal made in Event #7: $15,000 Mini Crazy 8. The final two of the 1,004 runners opted to chop it up with Russia’s ‘Petos00’ getting credit for the victory, earning $2,489.85 and taking home the XL Eclipse title. Canada’s ‘kurtcccc’ deal was worth roughly $250 more than second place would have taken home. He negotiated for a final payday of $2,224.65. In the late tournament, Event #8: $12,000 Late Crazy 8, PocketFiver Feargus ‘EZ.PZ’ Murphy from the UK won the day. He headlined a final table that included five total PocketFivers. The score marks Murphy’s second four-figure cash on 888poker in September. A quick scan of the XL Eclipse fields on Saturday would yield a few notable names grinding the series. 888poker ambassador Parker ‘tonkaaaa’ Talbot hopped in the field for Event #6, however he but made a quick exit busting out early in 280th. On the other end of the spectrum Kenny ‘SpaceyFCB’ Hallaert made a deep turn in the same event. He had a seat at the final three tables but ended up busting in 22nd for $352.80. He’ll add that drop in the bucket to his $4.7 million in lifetime earnings. Other notable names including ’Ti0373’, ‘msksevart’ and yesterday’s $20,000 Twins Royal winner ‘alexos888’ all played in Event #6 but ended up finishing just outside of the money. While some of those notable names were unable to make the money, a number of PocketFivers did make the final table on Saturday. In Event #8 the final table was overrun by PocketFive members. Getting heads up with the aforementioned ‘EZ.PZ’ was ’GramNaKartke’ from Poland. The former top 100 grinder won $1,860 for his runner-up finish. Ending up in fourth place ‘im’deaf’ also secured a four-figure score taking home $1,020. ‘kingoftilt94’ finished in sixth and Finnish player ‘Gutti88’ laddered when he ended up in eight place. Russia’s ‘mr.pampers’ represented PocketFives at the final table of Event #7, finishing in fourth for $1,125. While ‘joaobarb’ fell in sixth place in Event #6 for over $1,400. Sunday is shaping up to be the biggest day yet on the XL Eclipse schedule. It includes five total events, plus a $160 mega satellite into the $1,000,000 Main Event. There will be $315,000 in guarantees up for grabs and we will likely see some of the biggest winners of the series thus far.